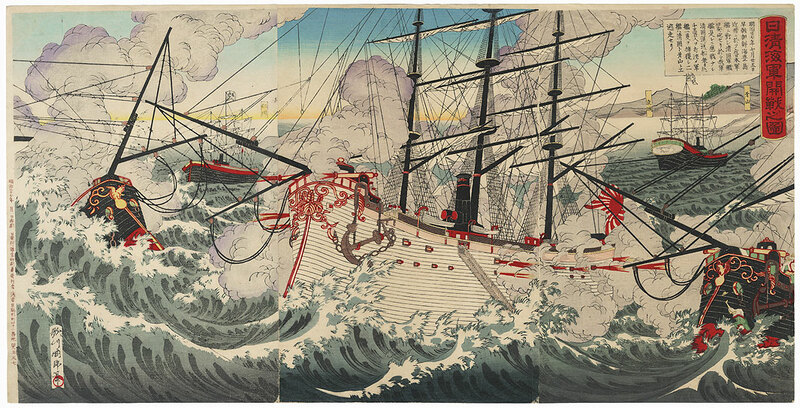 Comments - Dramatic illustration of a naval battle from the Sino-Japanese War. A Japanese warship steams across the center of the scene with guns blazing and cannon firing from ports in the side of the ship. 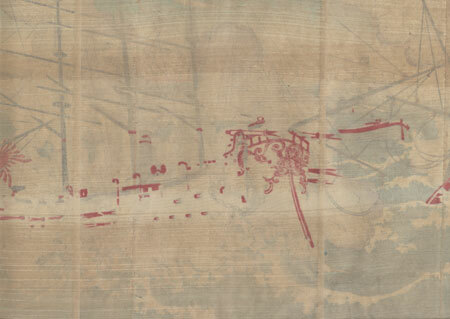 At left, a Chinese vessel sinks beneath the choppy waves, just the prow visible, but other enemy ships close in on the lone Japanese boat. 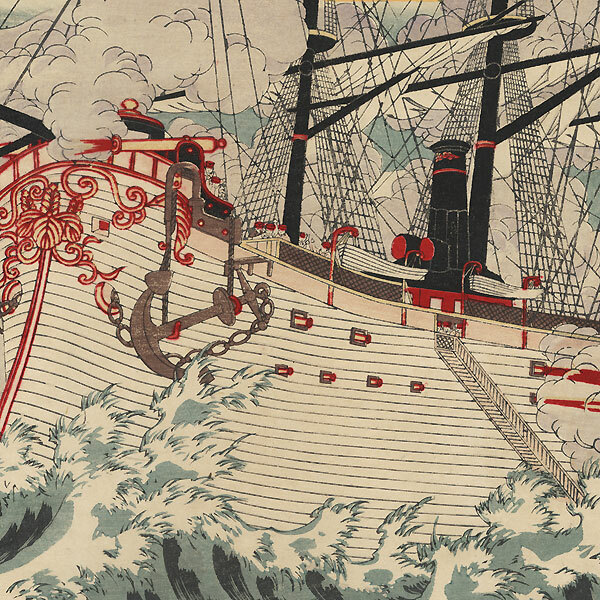 Wonderful detail in the ships with fine line work in the rigging, and lively detail in the setting with crashing waves and clouds of billowing smoke. A great design.